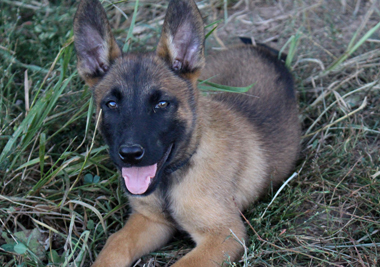 The goal of Logan Haus Kennels' breeding program is to produce working dogs that have no health issues and all the appropriate drives and nerve to do dual purpose police K-9 work. Please visit our Facebook page or Instagram to see videos of our puppies. If you have questions about our breeding program, puppies, or wait list, please send us a message on Facebook to our business page HERE. This will ensure we reply to your request in a timely manner. If you are ready to submit a deposit and be placed on our wait list, please contact us. Please understand that as your list of specific preferences grows, it becomes increasingly more difficult to find the exact puppy you are seeking. If you need a puppy for a specific purpose, it is easiest for us to meet your needs if you put fewer constraints on the puppy’s aesthetics. We get requests every day for dark brindle, male puppies with huge heads, small ears, large bone structure, and over the top drives. It is impossible to predict exactly how a puppy will mature; we can only give you our assessment of the litter, each individual puppy in it, and what the parents or pedigree suggest the breeding should produce. We can only estimate how large a puppy will be when it matures based upon the weight of the parents or related dogs. It is impossible to predict how a human baby will mature; the same logic applies to puppies. Additionally, while we will not sell puppies that do not meet our standards, we cannot predict how a puppy will work when it matures. 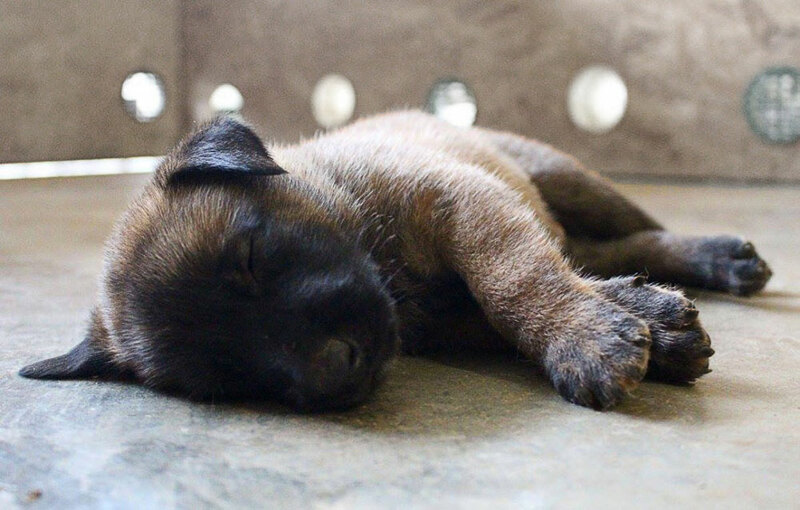 A puppy’s genetics may give it the ability to make a fine working dog, but the training and exposure it receives once it leaves our facility influences what it becomes perhaps even more so than its genetic makeup. We hope you will trust us to do our best to help you select the best puppy for your needs and, in doing so, we must also put our trust in you that you will do your best to raise your puppy appropriately and help it reach its genetic potential. Our prices begin at $2000 for a working prospect with a $300 deposit to place your name on our wait list. We will contact you when your name reaches the top of the list. Puppies are ready to go to their new homes between 8-12 weeks and may be shipped for an additional fee. Each puppy is sold with a 2-year health replacement guarantee. In an effort to be fair and as a measure to ensure the puppies we stand behind are going to competent handlers, we also offer a working guarantee to individuals who have credible experience in the venue they have selected their puppy for or to individuals who are working with other credible trainers. Please contact us to further discuss our working guarantee. 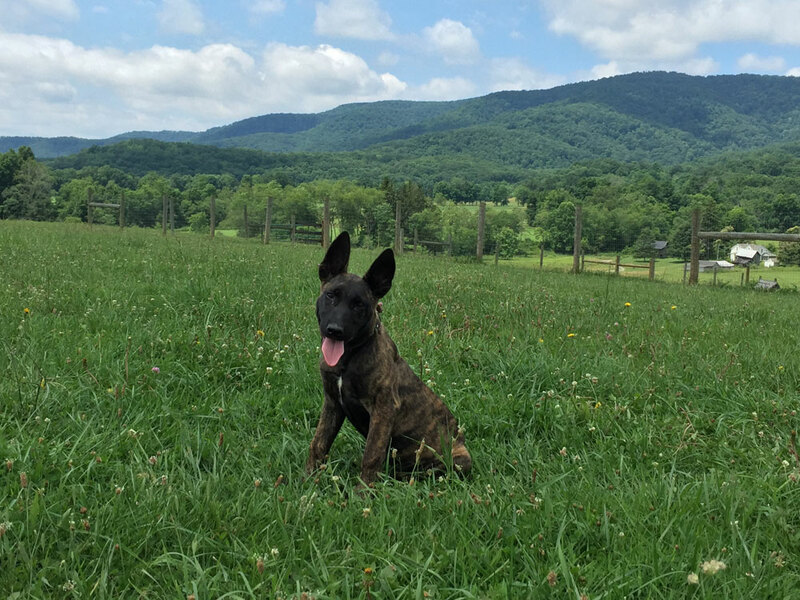 The goal of Logan Haus Kennels' breeding program is to produce working dogs that have no health issues and all the appropriate drives and nerve to do dual purpose police K-9 work. 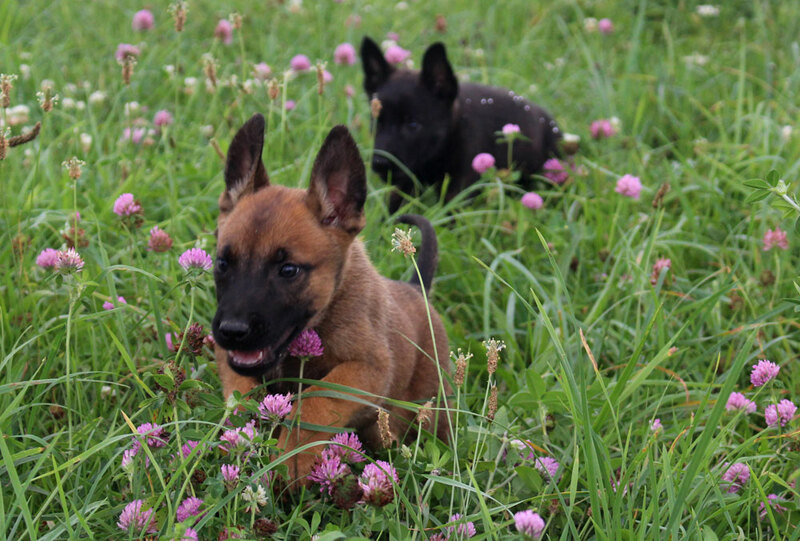 The LHK Puppy Program is designed to prepare the dogs with the correct health, genetics and temperament for the rigorous testing protocol administered by the procurement sections of the most scrutinizing police departments in the United States. These puppies begin their training at 3 days of age by being introduced to Bio-Sensor Stressing and human interaction. The Bio-Sensor Stressing continues everyday from day 3 to day 18. Beginning around day 10 when the puppies' eyes and ears are beginning to open, they are exposed to many noises and visual stimuli. By 21 days of age they are introduced to many small obstacles that must be negotiated each day to reach their food and water bowls. At this time they begin to climb up and down small stairs, cross "cat walks," crawl over wobble boards and slippery surfaces. From 3 to 5 weeks as they become more agile, the difficulty of the obstacles and noise stressing increases. They are encouraged to chase and bite small "prey" items at this time. They spend several short sessions a day in the indoor training room playing on many different surfaces and obstacles. They eat three times a day at this age and each meal is awarded only after an obstacle, or series of obstacles have been successfully negotiated. By 5 weeks they are spending 15 minute sessions in a small puppy crate 2 - 3 times daily. They begin spending more time separated from their littermates and are taking short trips out in the public for social and environmental exposure. The social and environmental exposure continues to increase throughout the puppies stay at LHK. As the puppies grow they continue to become more confident in different environments. They are exposed to many different real life scenarios: different types of open and closed stairwells, different slick surfaces, confined and crowded areas, noisy spaces, elevators, escalators, busy streets, airports, bus and train stations, working cattle farms and schools. Around 7 weeks the puppies are allowed to start doing "rag work" and their prey drive is first evaluated at this time. They are encouraged to chase and bite everything at this age. From this age on they are taught to properly grip and counter and begin to learn good biting technique. They also receive ball and hunt drive building exercises beginning around 7-8 weeks that continues throughout the remainder of their training. As the dogs kept in our program continue to mature, they are worked with an increasing amount of pressure, while still keeping a good balance of prey drive. By one year of age the ball and hunt drive has been built to its maximum genetic potential and the dog has no environmental issues by the end of his/her stay at LHK. By the time the dogs reach 12-16 months they are ready to enter into any department's training program.